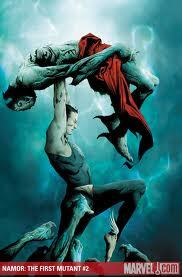 "I can't speak for the studios," said Quesada about Marvel recovering screen rights to Namor from Universal. 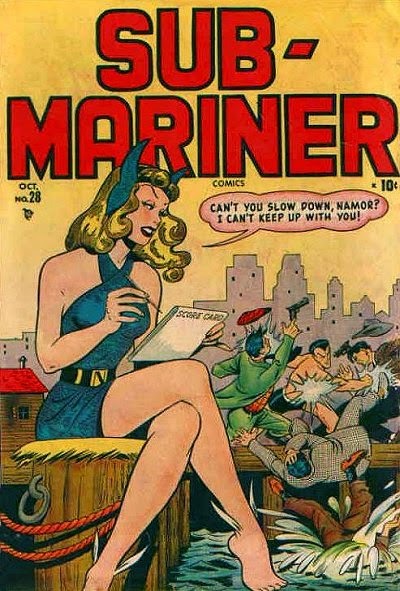 "But as far as I know, yeah we do (have screen rights). 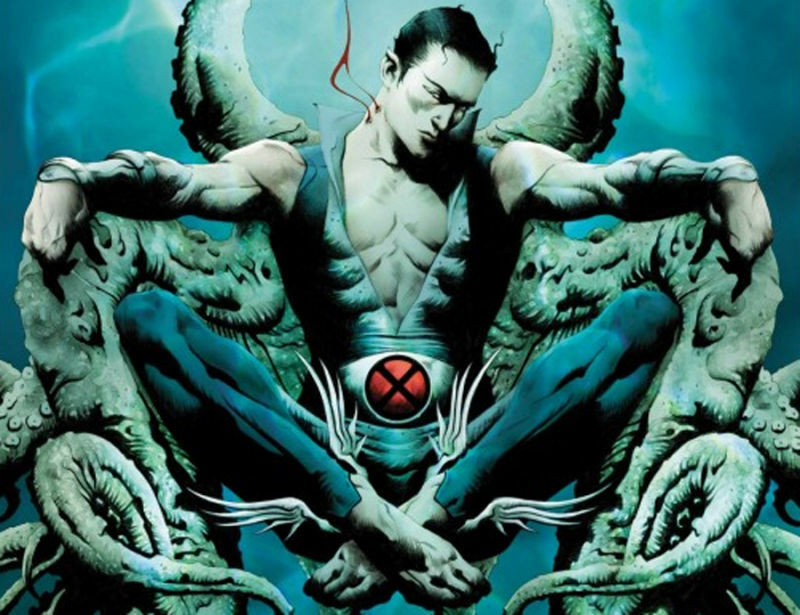 It’s not at Fox, it’s not at Sony...Yeah." 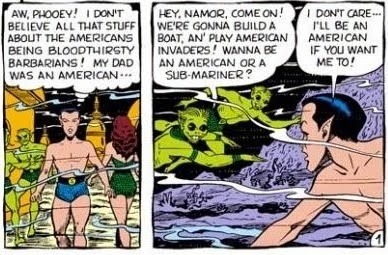 "Yes," confirmed Marvel's Kevin Feige about Marvel controlling screen rights to Namor, "but it’s slightly more complicated than that." 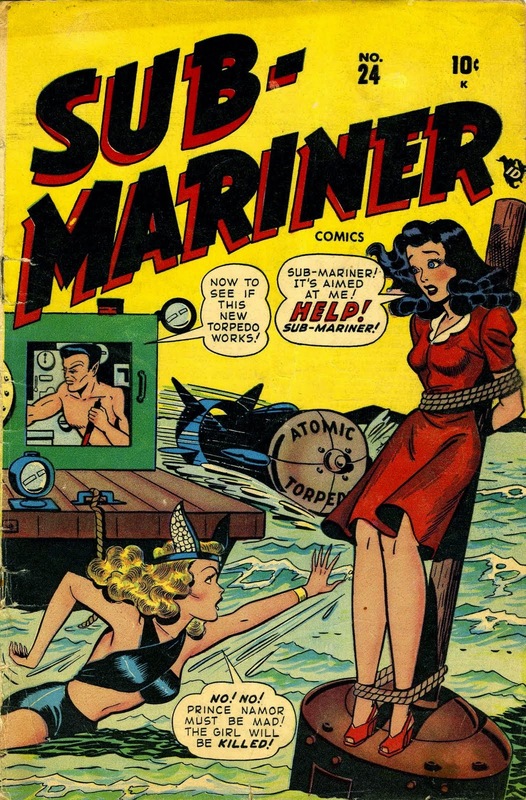 "Let’s put it this way – there are entanglements that make it less easy. "There are older contracts that still involve other parties that means we need to work things out before we move forward on it. 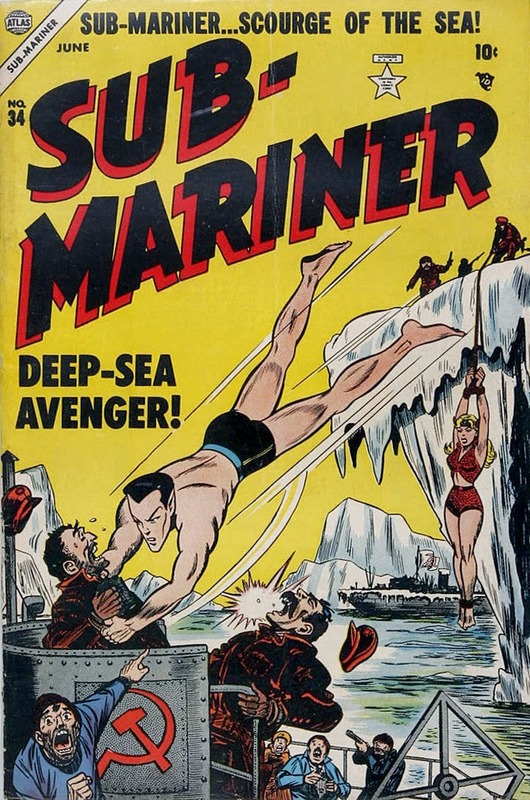 "...as opposed to an 'Iron Man' or any of the 'Avengers' or any of the other Marvel characters where we could just put them in..."
Debuting in 1939, Namor was created by writer, illustrator Bill Everett, depicted as the mutant son of a human sea captain and a seductive princess on a spy mission for her undersea kingdom of 'Atlantis'. 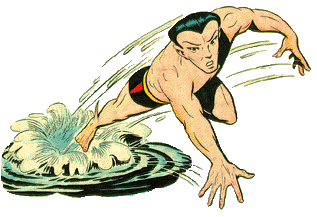 Namor possessed the super-strength and aquatic breathing abilities of his mother's 'Homo mermanus' race, as well as tiny flipper-like wings on his ankles that enabled him to fly. 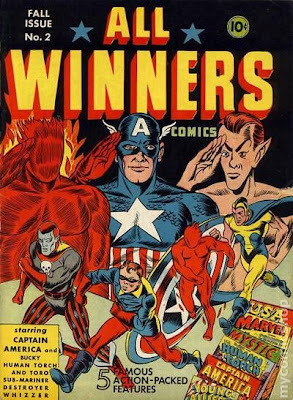 Through the years, the character has been portrayed either as a good-natured, but short-fused superhero, or a hostile invader obsessed with vengeance for perceived wrongs that humans committed against his kingdom. 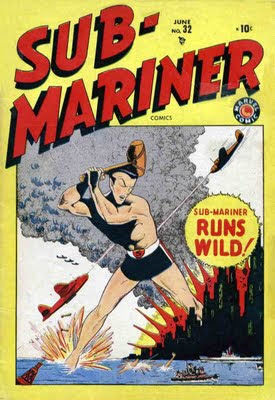 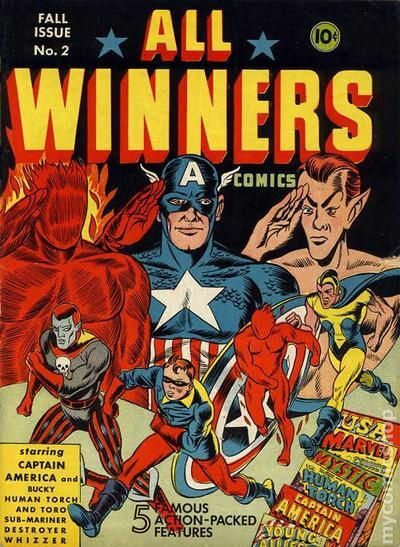 After fighting WWII alongside 'Captain America' and the 'Human Torch' on the side of the Allies, Namor resurfaced in the 1950's as the subject of a live-action TV series. 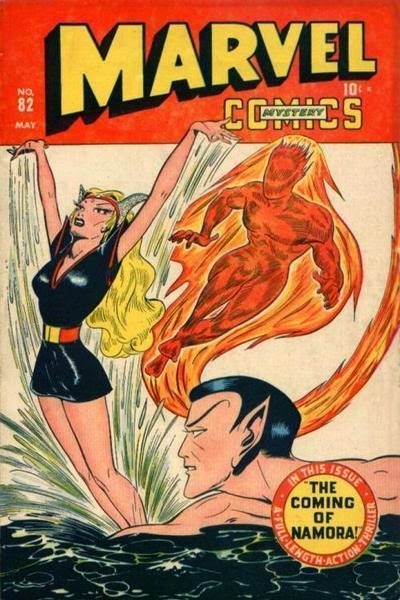 He then returned in Marvel's "Fantastic Four" #4 (May 1962), when 'Johnny Storm', an updated human version of the original android Human Torch, discovered him living as a homeless man with dementia, in the Bowery section of Manhattan. 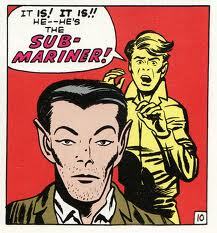 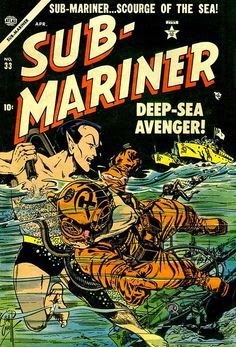 Recovering his memory, Namor returned to his undersea kingdom, only to find it destroyed from underwater nuclear testing. 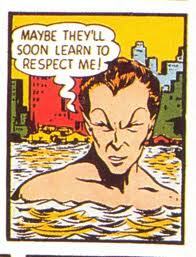 ...as a thirst for vengeance and a quest for identity would dominate his life.